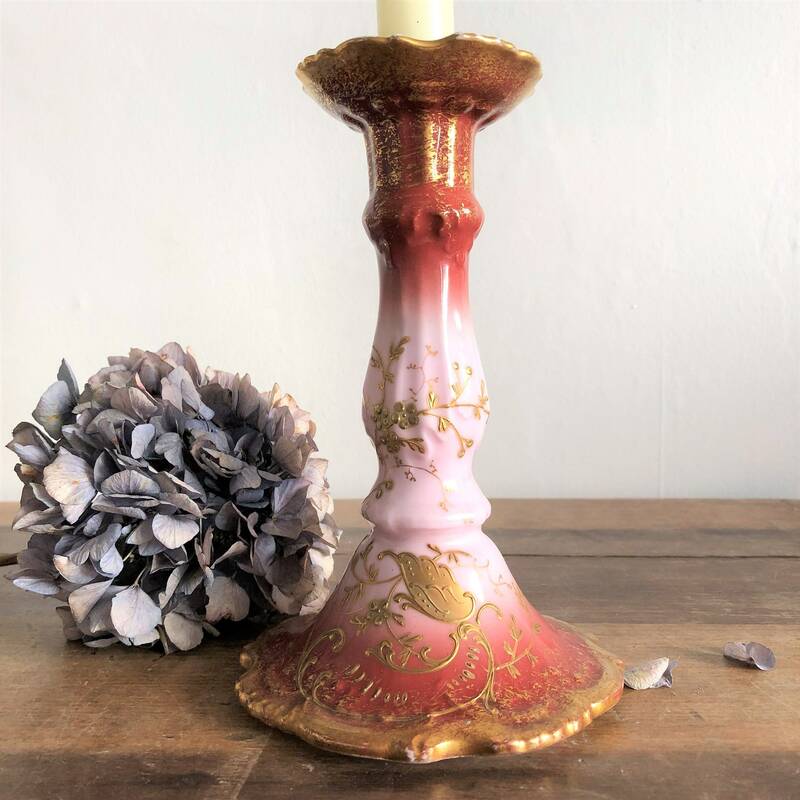 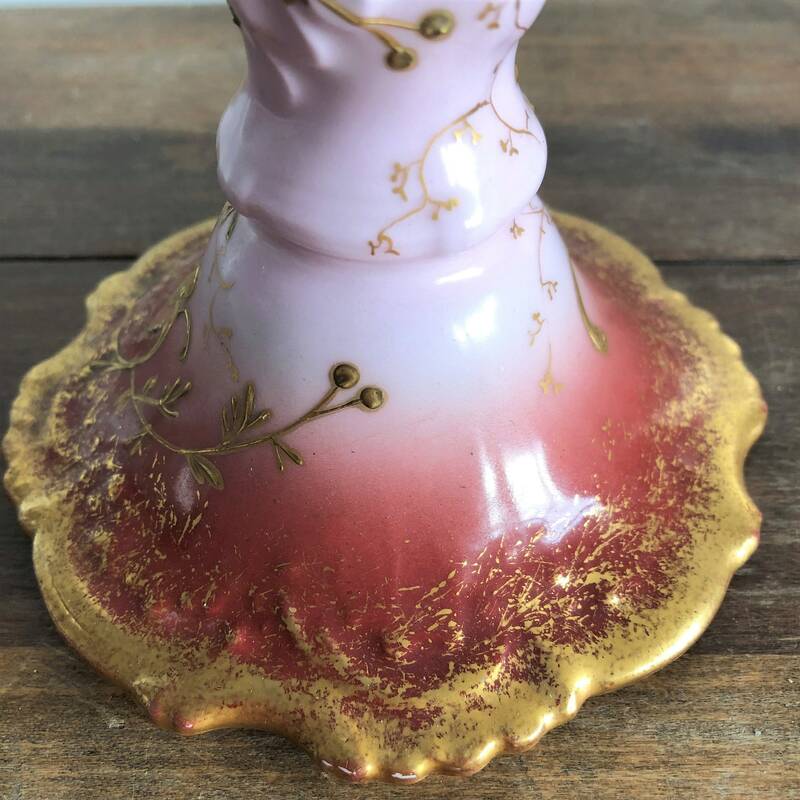 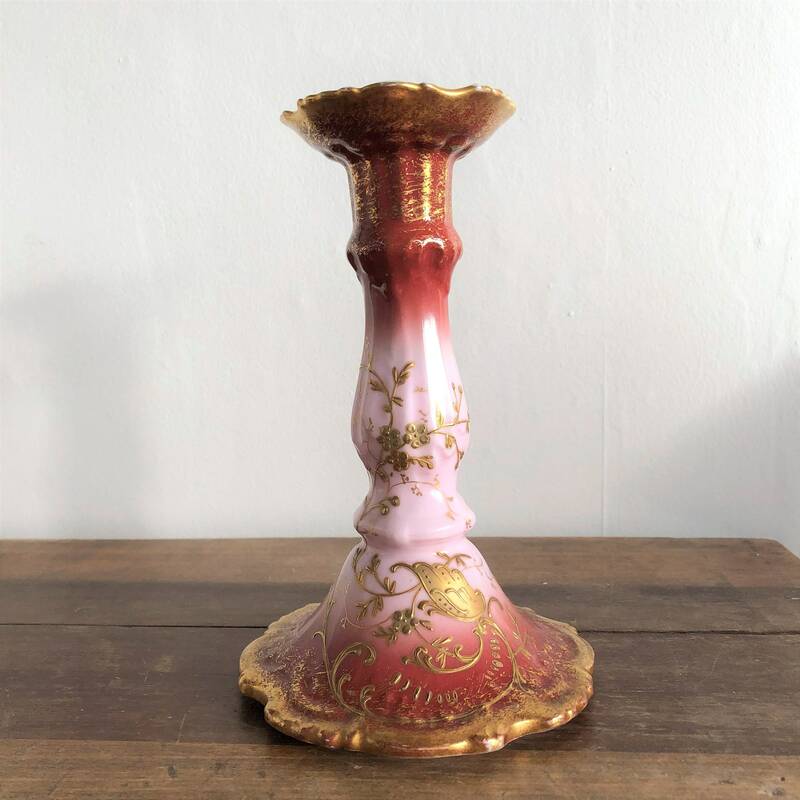 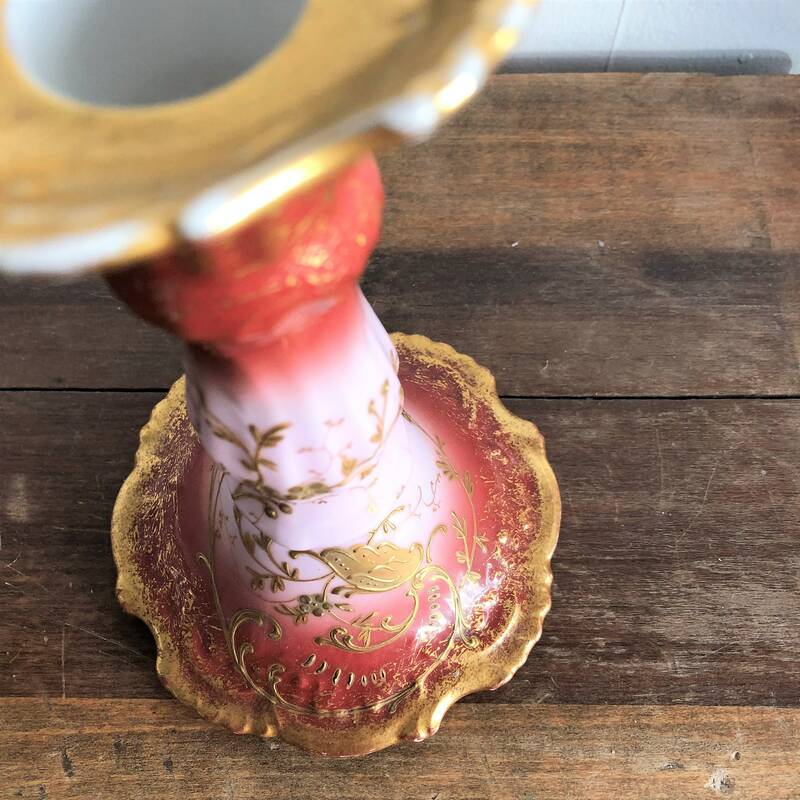 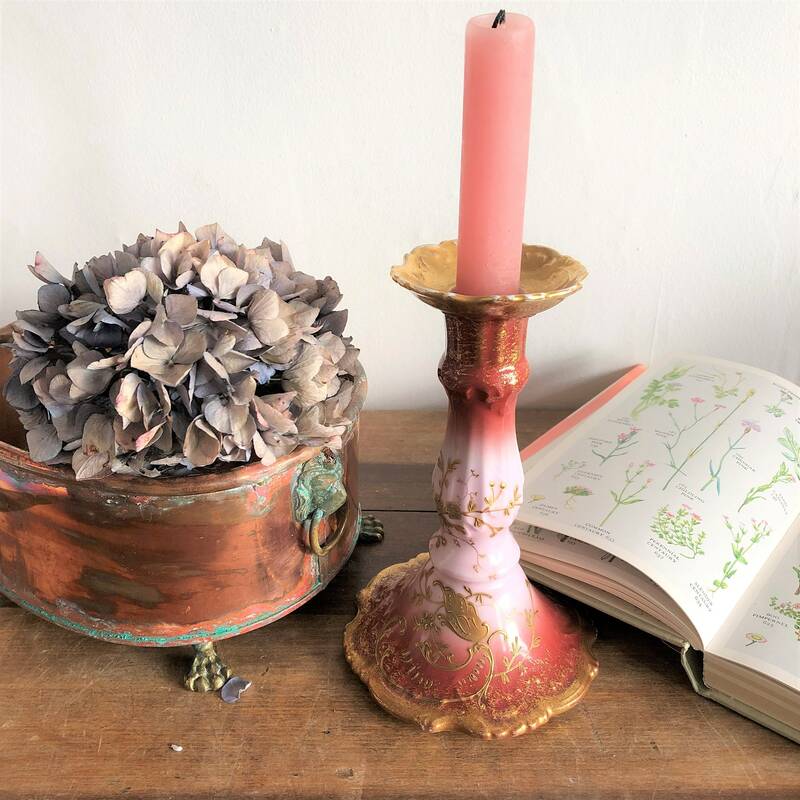 A pretty pink & gold Limoge candlestick. 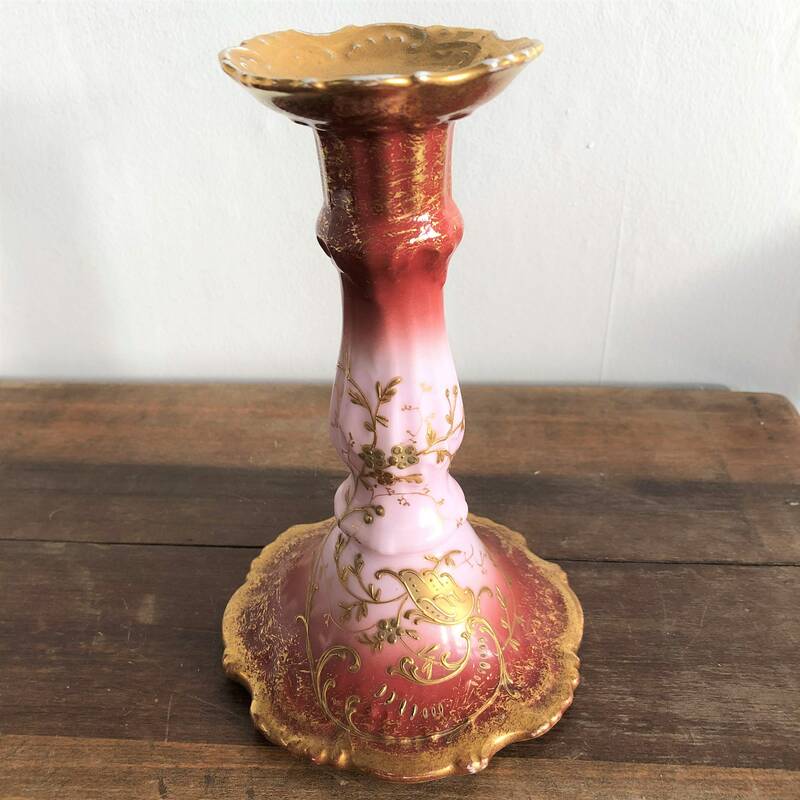 Lots of decorative gilt, which is in great condition - would look beautiful on your dressing table, mantelpiece or as part of a collection. 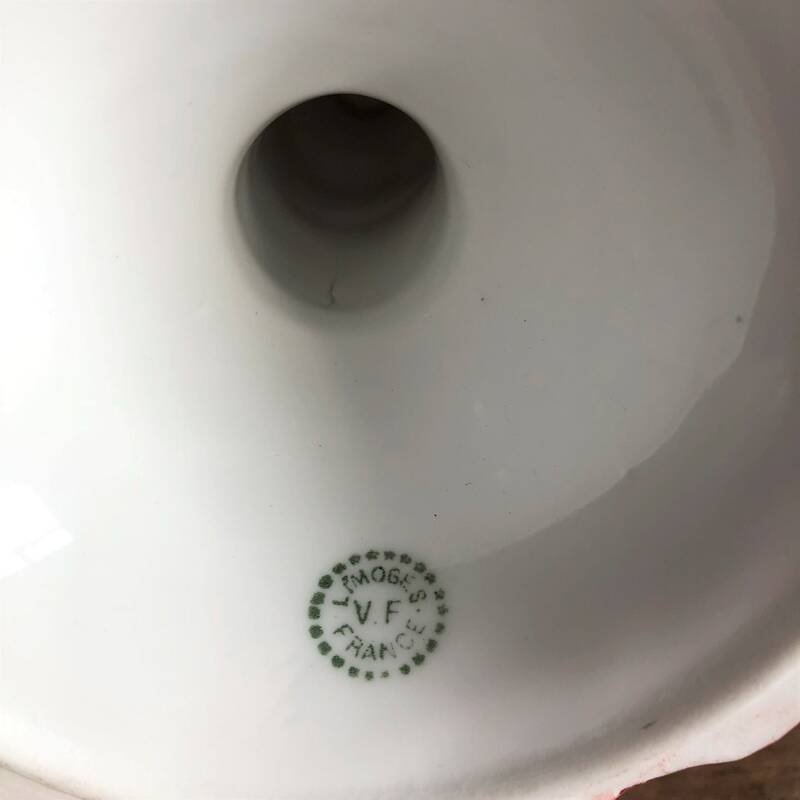 No chips or damage to the pattern, great vintage condition.